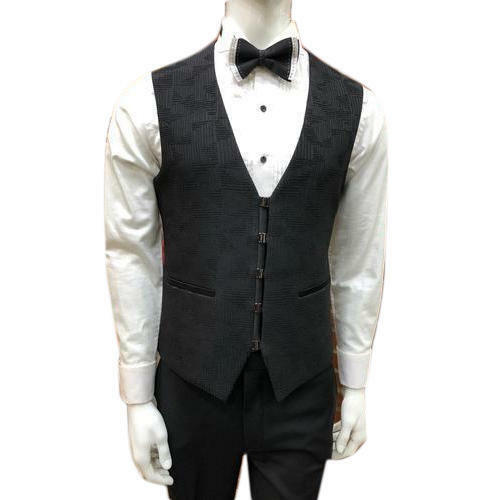 From our wide consignment, we are offering to our patrons an optimum class variety of Mens waist coat. Dressage Inc is the leading Manufacturer, Wholesale Trader and Retailer of Mens Jodhpuri Blazers, Mens 3 Piece Suits, Mens Indo Western, Mens Sherwanis and many more. These clothes are manufactured from high quality fabric that is procured from well-known vendors. The offered clothes can be customized as per the needs of our customers.